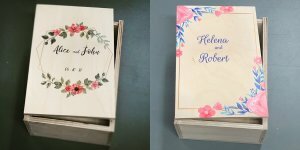 The Cappuccino Guest book is the ideal Wedding Guest Book, it is identical to our standard Cappuccino in layout and cover and available in A4 landscape. The key difference is that it has only 4 pages with printing, the further 36 pages are blank to make allowance for guests to add comments. The first 4 pages are ideal to show off some pictures of the couple in their younger days and possibly even an engagement shoot. The standard Cappuccino has a personalised front cover, while the spine and back cover remain black. 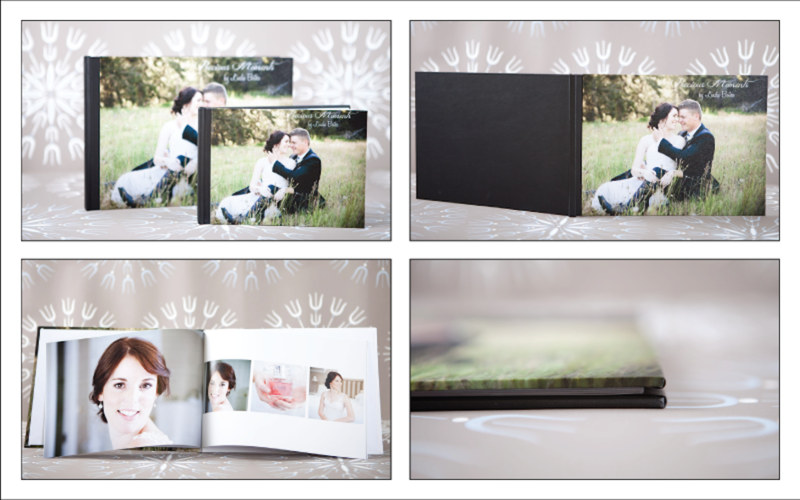 A hardcover landscape book, bound in a coffee table book format. The pages are printed in Premium Digital Press quality with accurate and natural colours. Printed on 150gsm premium coated matt paper. Also see our Cappuccino Rustic as an option for a Guest book. There are also many custom cover options to consider. The front cover is printed and matt laminated. *The basic book has 4 printed pages + 36 blank page.